Jersey Boys, the hit Broadway musical that tells the story of Frankie Valli and the Four Seasons, will lead off Omaha Performing Arts’ 2011-12 season of touring Broadway musicals. 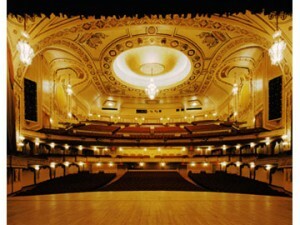 The show, which won the Tony for best musical in 2006, will play the Orpheum Theater from Sept. 7-25, 2011. She said season ticket holders for 2010-11 will get first crack at reserving seats for “Jersey Boys” a little less than a year from now. John Lloyd Young, formerly from Bellevue, originated the role of Valli on Broadway. He won the Tony, Drama Desk and Outer Critics Circle Awards for best actor in a musical. He is not touring with the show. The original cast album won a Grammy. Buy your Jersey Boys Omaha Nebraska Tickets now!